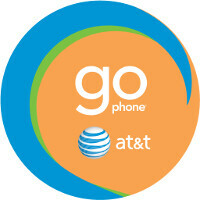 In an effort to make its pre-paid subsidiary GoPhone more attractive, AT&T has announced that it is adding another GB of data to the two tiers of service that it offers. This comes right on the heels of Verizon's announcement that it was adding more data to its own pre-paid pricing plans. Starting this Friday, May 27th, those paying $45 a month on GoPhone will receive a 50% bump to 3GB of data. Currently, these customers are receiving 2GB of the sweet stuff. Those paying $60 each month will see the amount of data they pay for rise by 20% from 5GB to 6GB. Both plans offer customers unlimited talk and text, and rollover data. This means that any unused data from the current month is available for use during the next month. And if subscribers opt in to Auto Refill (which automatically dips into a checking account, or runs a credit card or debit card for the amount of next month's service) they will save $5 a month. That brings the monthly cost of these two tiers down to $40 and $55. With Auto Refill, the plans undercut Big Red's new rates. Verizon's $45 and $60 pre-paid tiers come with 3GB and 6GB of data, respectively. But those figures for Verizon customers include Auto Pay (similar to AT&T's Auto Refill). If Verizon pre-paid subscribers don't agree to the automatic money transfer each month, they lose 1GB of data on their plans. The pre-paid arena is becoming quite competitive as many wireless subscribers are turning to this option. If you're interested in AT&T's pre-paid service, go to AT&T.com. Telcoms love teasing us with gigabytes. How about stepping it up to terrabytes?? WIth Autopay, it'll be $40 for 3 GB of data, which is just $5 more than Cricket 2.5 GB plan (also owned by AT&T). The advantage if you go with AT&T vs Cricket is that there is no speed cap (8 Mbps cap on Cricket). So basically AT&T wants to cannibalize cricket. There's no point in going to Cricket, go phone offers data rollover, and other benefit not offered by cricket.